Some 260 kms in twelve days. 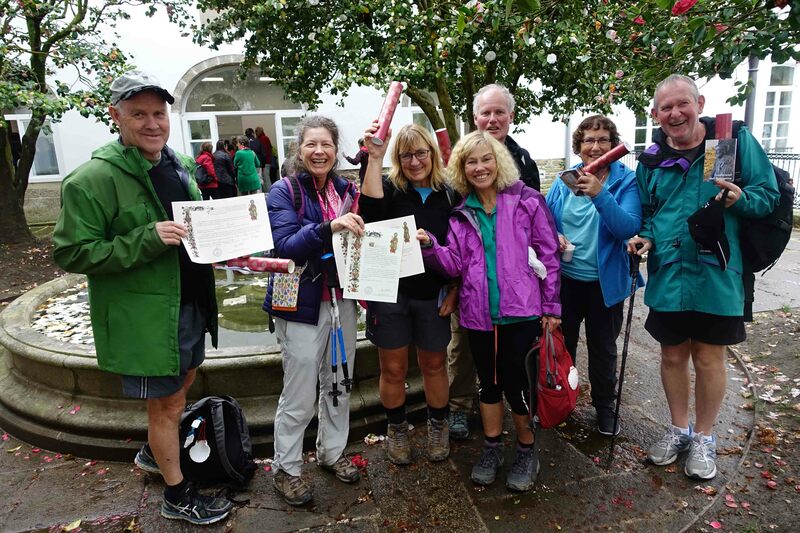 And the relief, and sense of achievement for our group, was huge! 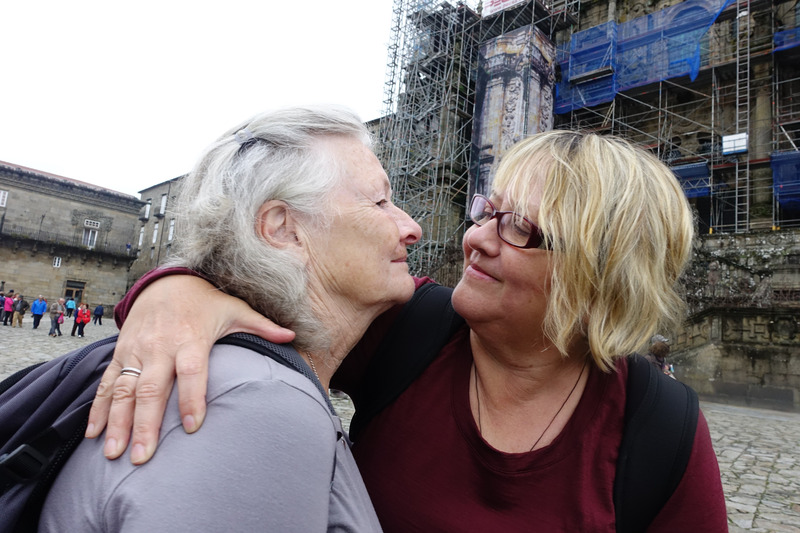 It was a particularly pleasing achievement for Marilyn Workman and Stella Kinniburgh – both women in their 70s who found it tough going these past few days. 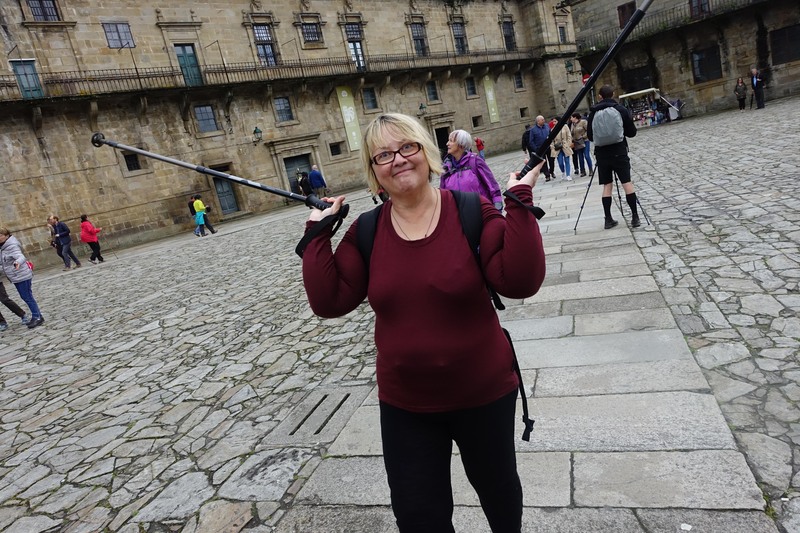 Today on the last day’s walk there were many hills that women half their age would have struggled up. 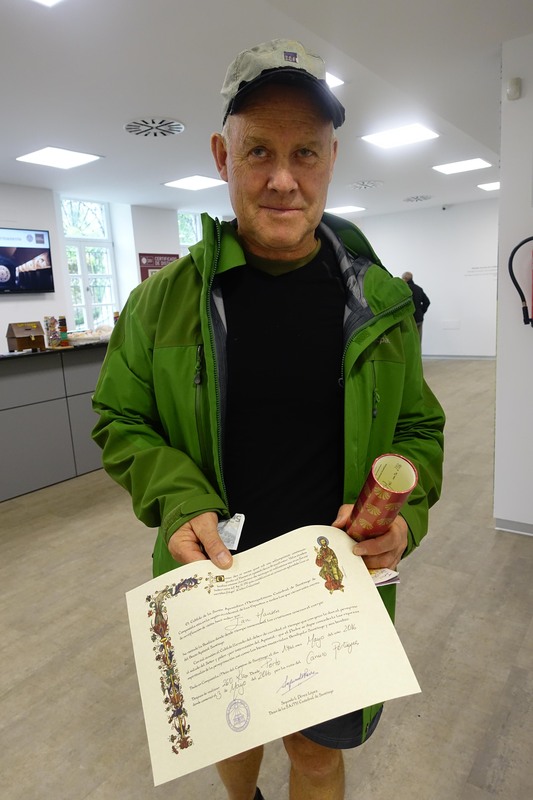 But they made it, and they each now have their Compostela – their certificate of completion of the Camino. 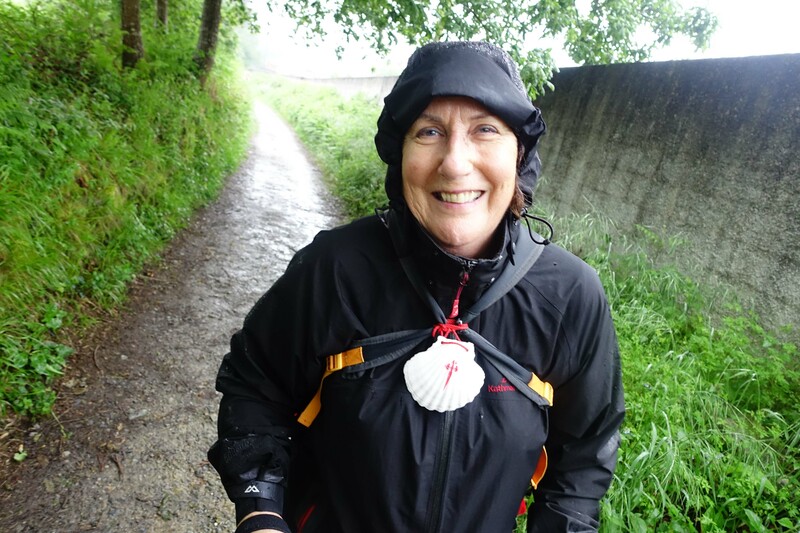 Laurie Hilsgen too completed the walk, with huge blisters which for the past several days have caused her constant pain. 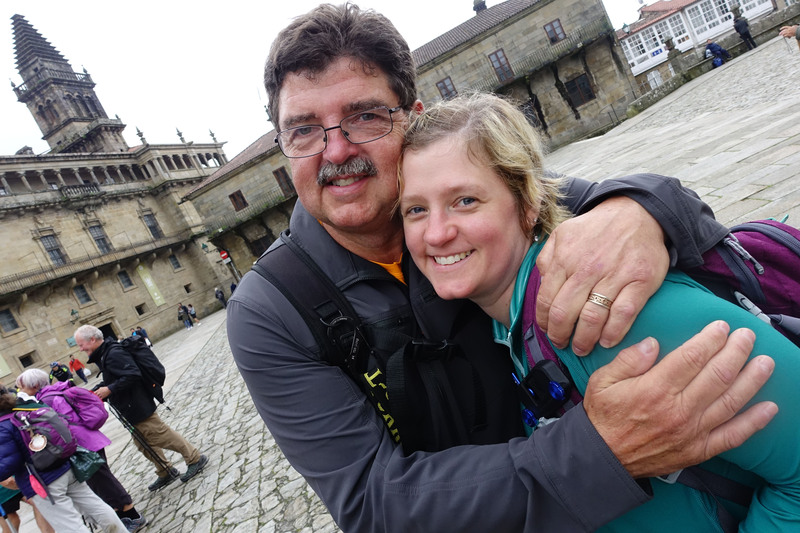 It’s stories like these, of people overcoming pain and adversity, which to me symbolise the power and mystique of the Camino. 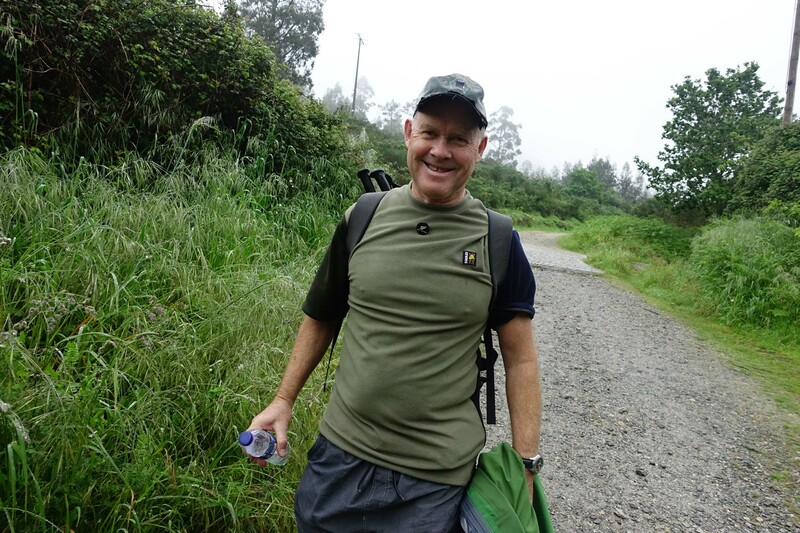 It was a long day’s walk today – about 22kms – under overcast skies with a slight drizzle. Perfect walking weather. Here’s Ruth powering through her last day. I remember on the first day, she was so anxious as to whether she would make it. She has been of the major success stories of this tour. (There have been many!) But just look at the radiance in her face. 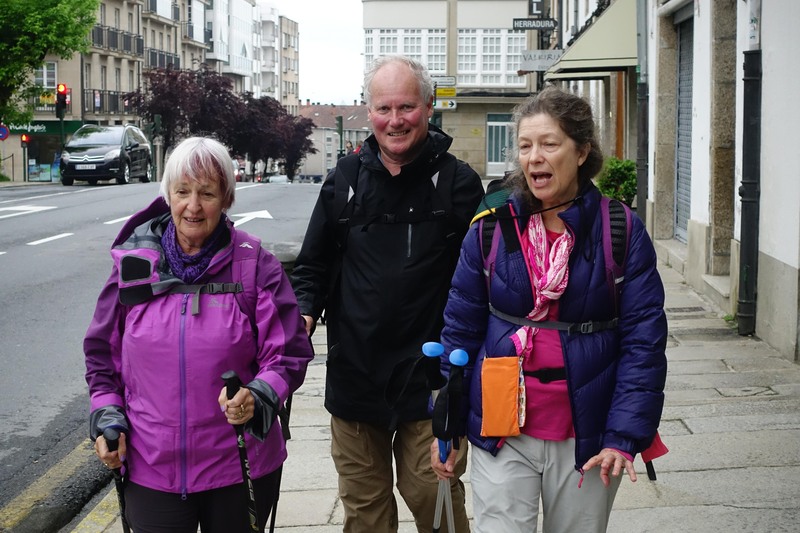 Alistair, Stella and Ruth left early – about 7am – so that they could take it easy, take photos, and enjoy the last day of the walk. 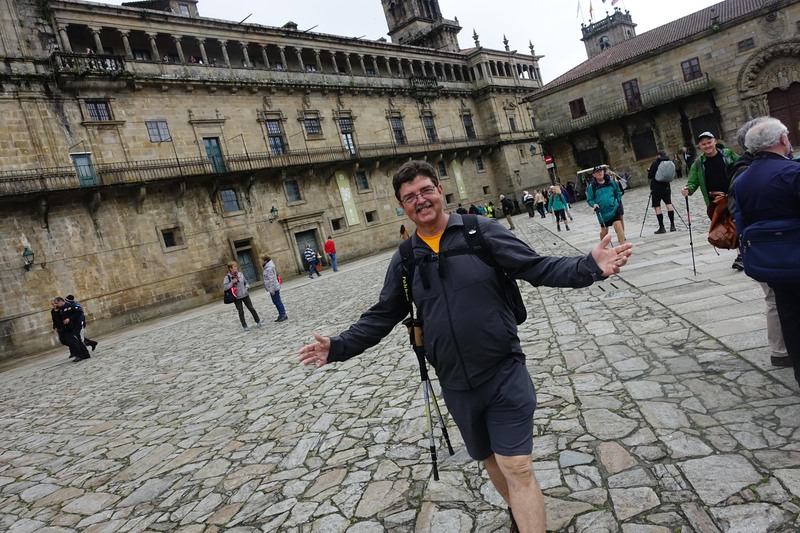 It meant that those who left later, and walked faster, caught them up towards the tail end of the day, which was perfect – as we all wanted to walk into Santiago as a group. Jennifer meanwhile took Jan and Vivienne back to Padron, so they could climb those steps and see St. James’ preaching spot. They said later that it had been well worth doing, and a highlight of the trip for them. I walked out front with Ian a good deal of today – and we kept a swift pace. We talked and i learned more about this extraordinary man, who with his wife have devoted their lives to the upbringing of their handicapped son. Today’s walk with Ian might have been a bit too swift for me because halfway my knee started to pain me in disturbing ways – like shards of glass digging into the kneecap. 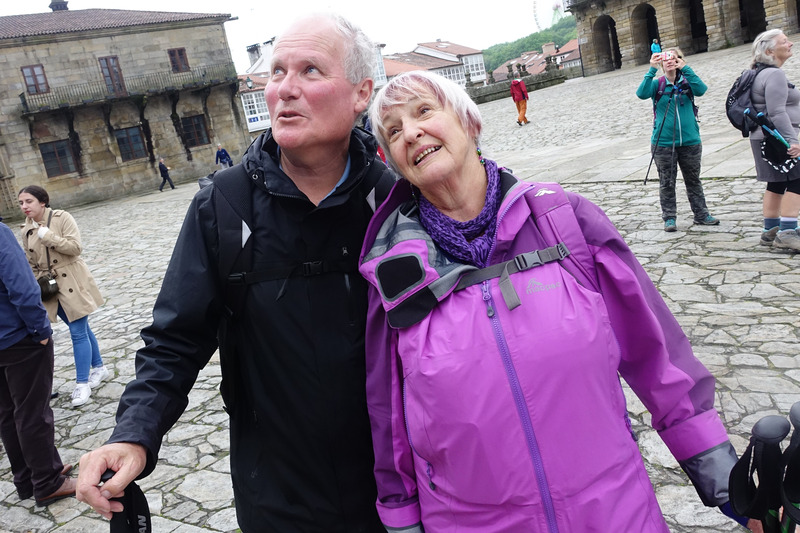 We came across Alistair and Stella, who had set off early and were taking their time, taking photos. They are both wonderful photographers – former professionals – and even with their iPhones they can produce stunning images. Even though they are High Anglicans, Stella and Alistair have Weird and Whacky tendencies. That’s why they enjoy hanging out with Jennifer. Thank you Donna! I’ll pass that onto them! Thank you, all of you, for reminding me of the joy of arriving at SdC. Naw, you are too much of a purist. Besides you look so professional with all those cameras hanging around your neck. Ahhh Bill, what satisfaction, elation and connectedness all wrapped up together. I am glad there were some weird and whacky conversations going on!